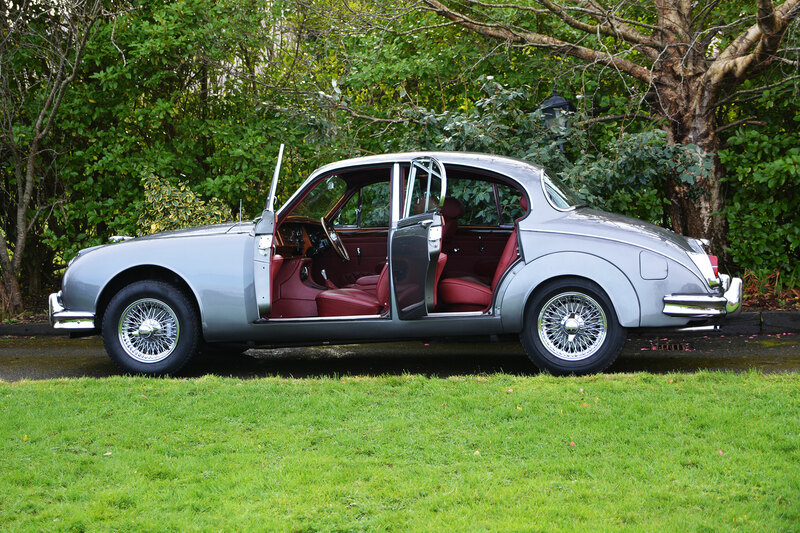 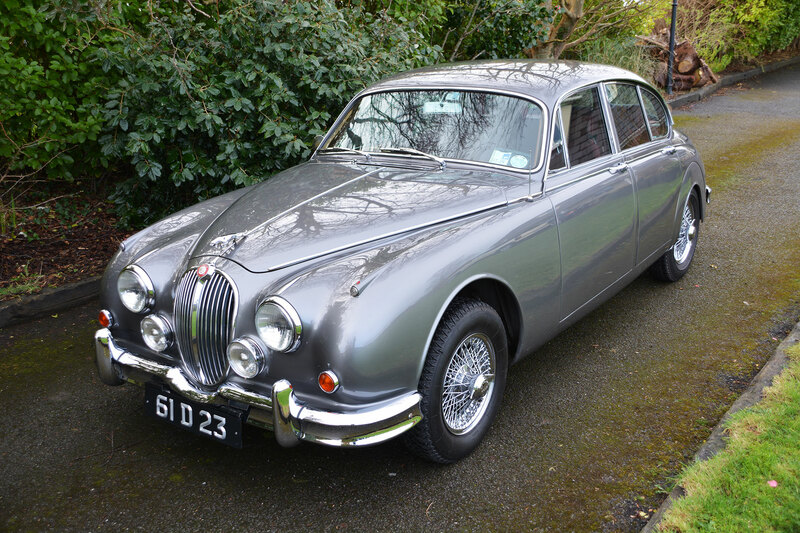 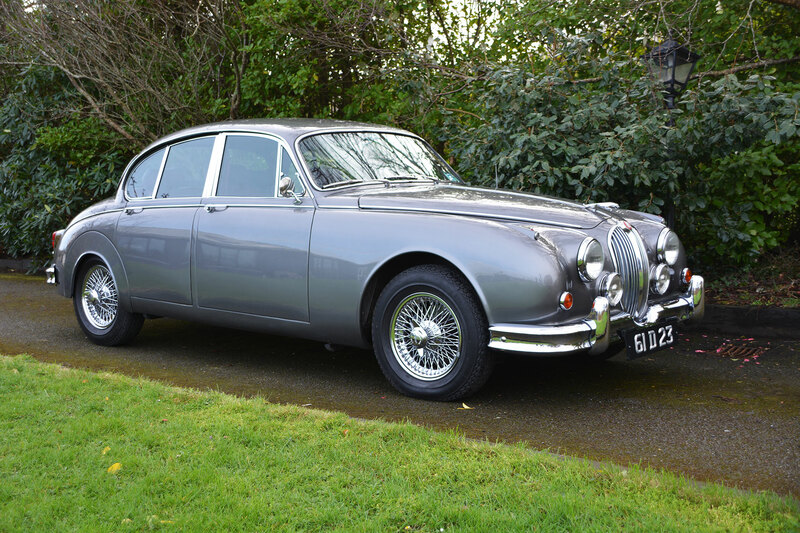 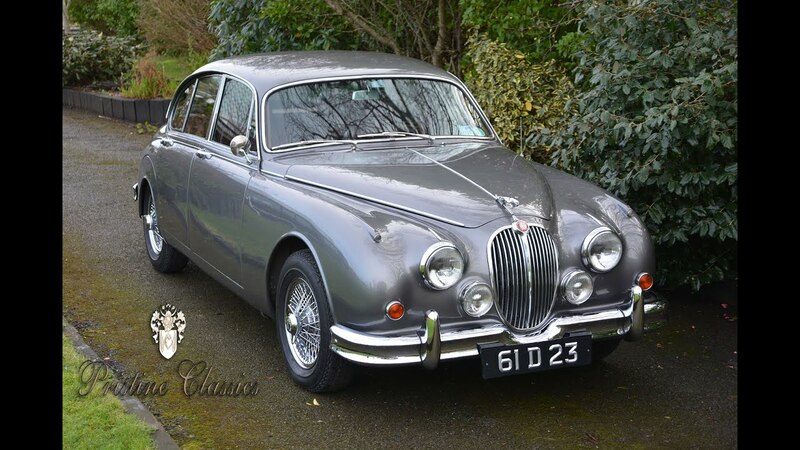 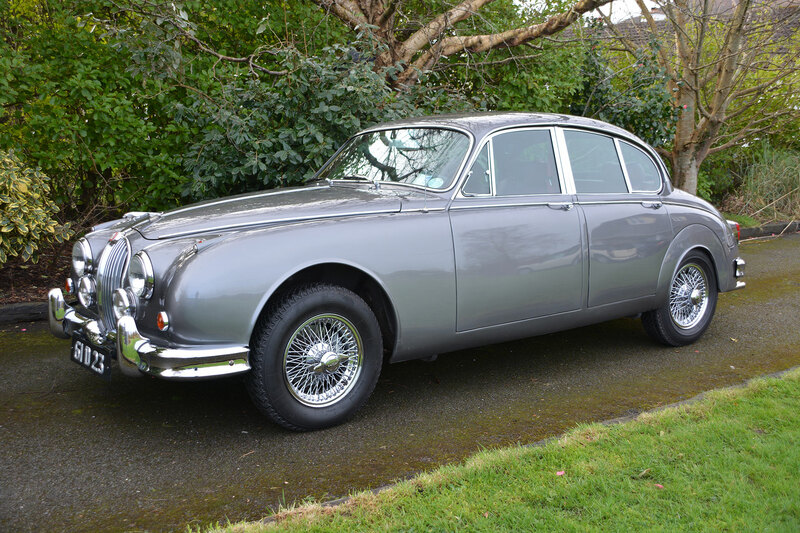 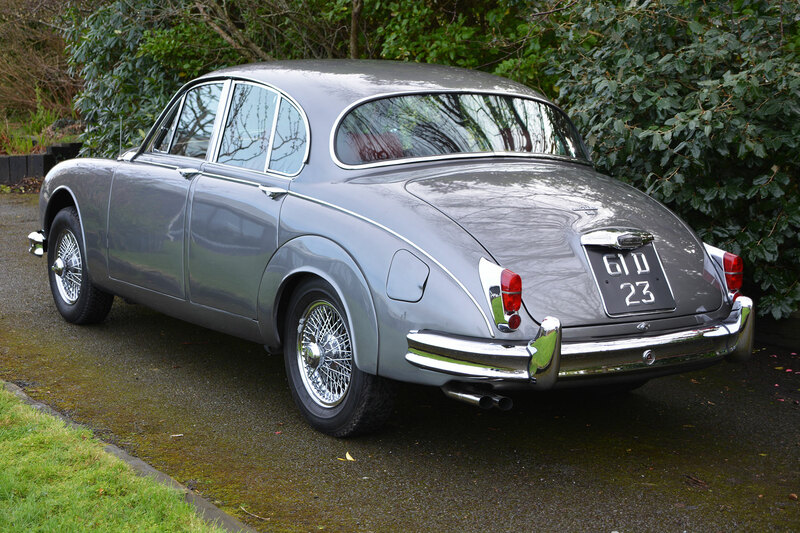 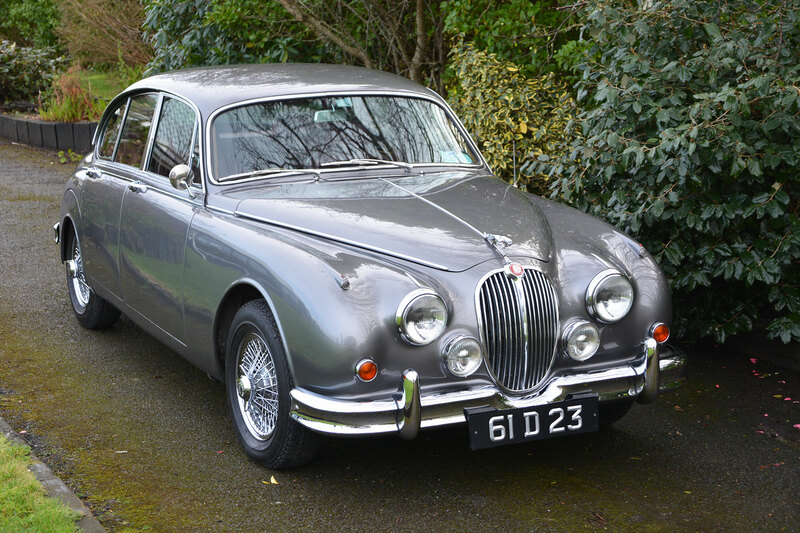 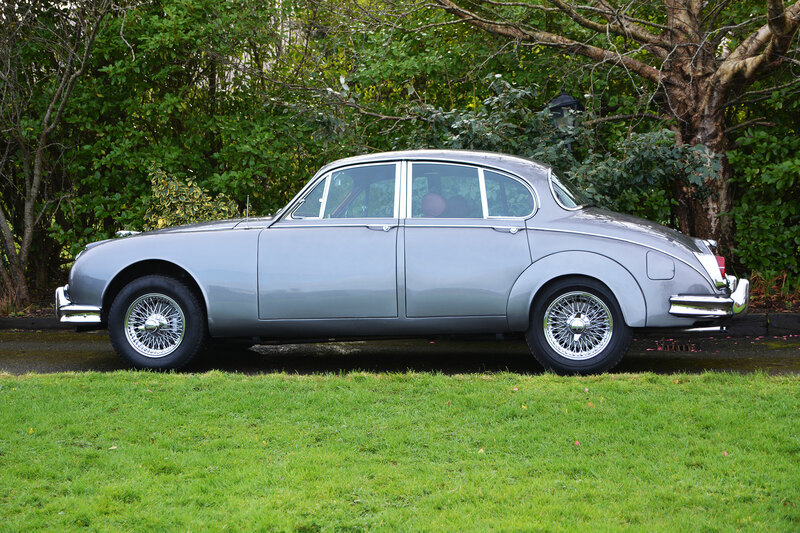 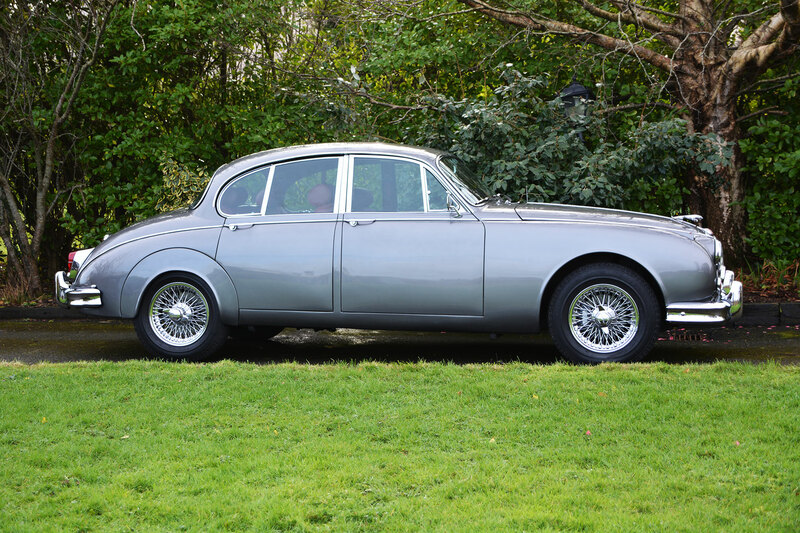 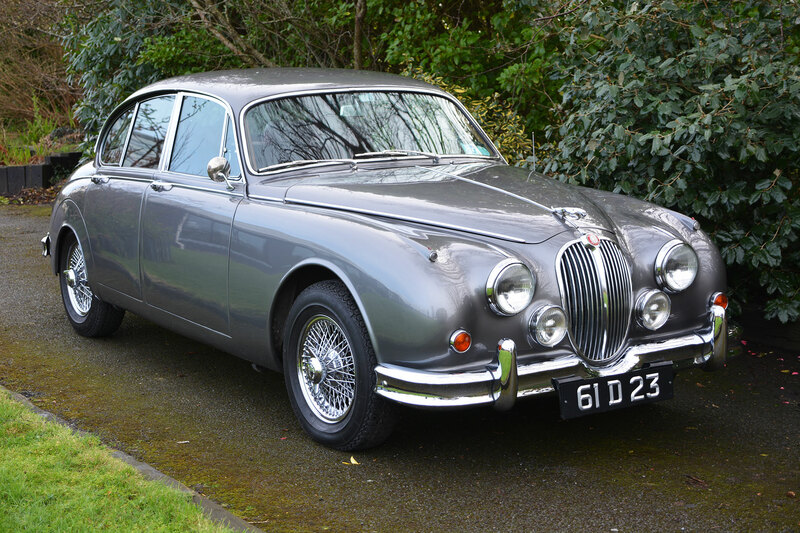 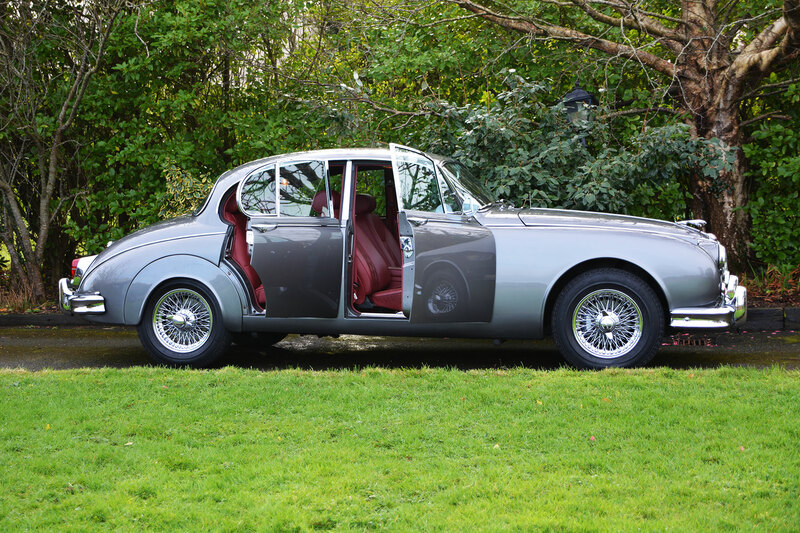 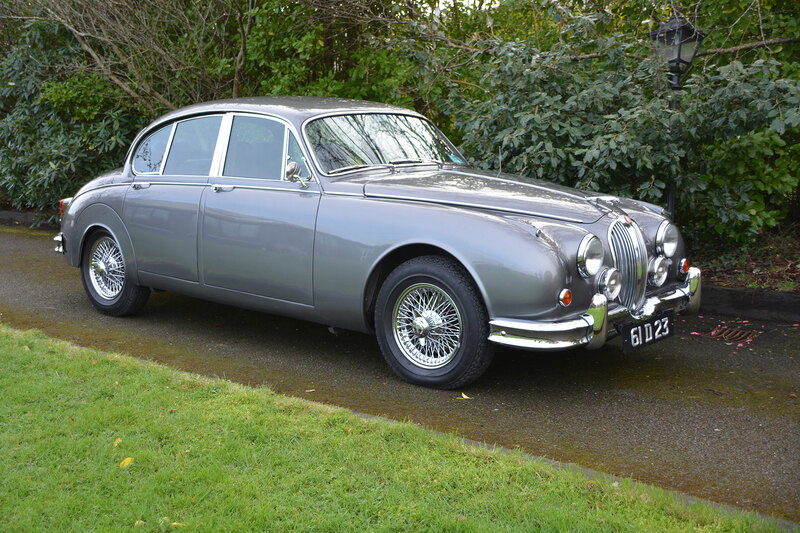 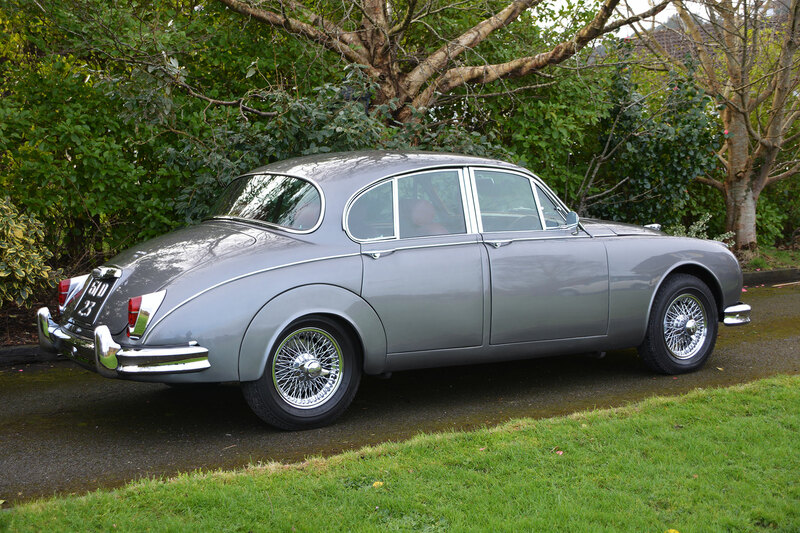 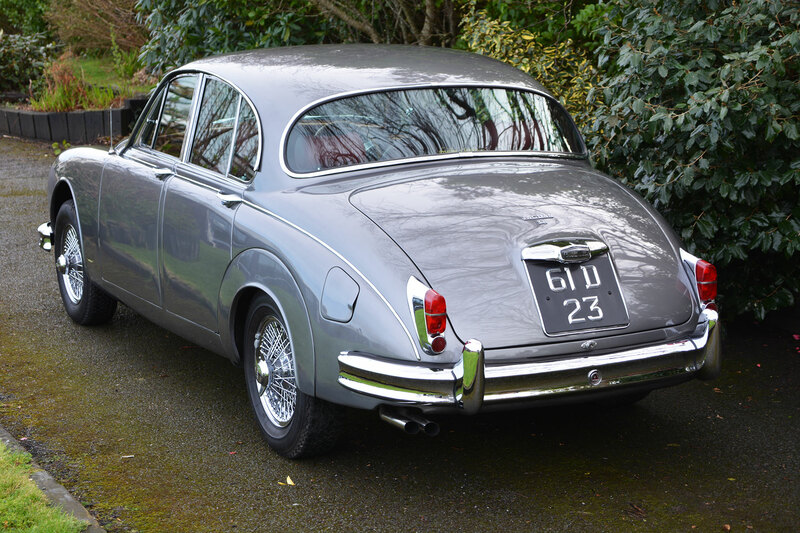 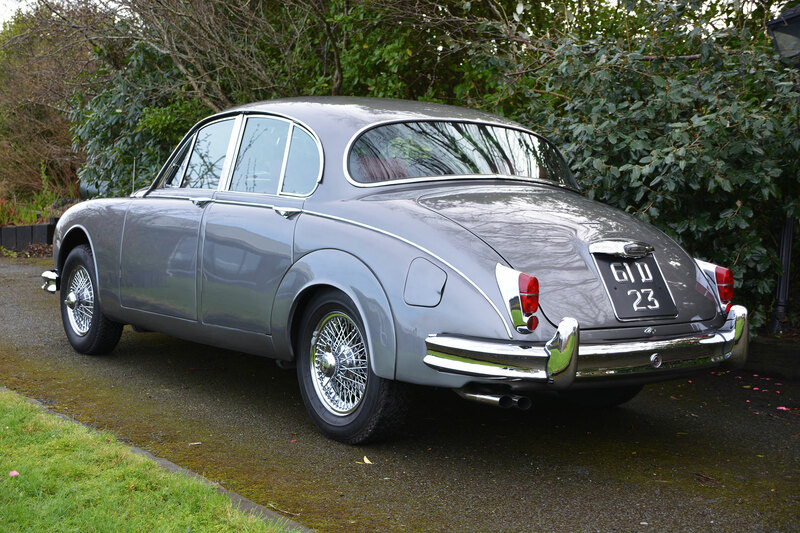 We are delighted to be able to offer this beautiful 1961 Jaguar MK II 3.8 RHD for sale. 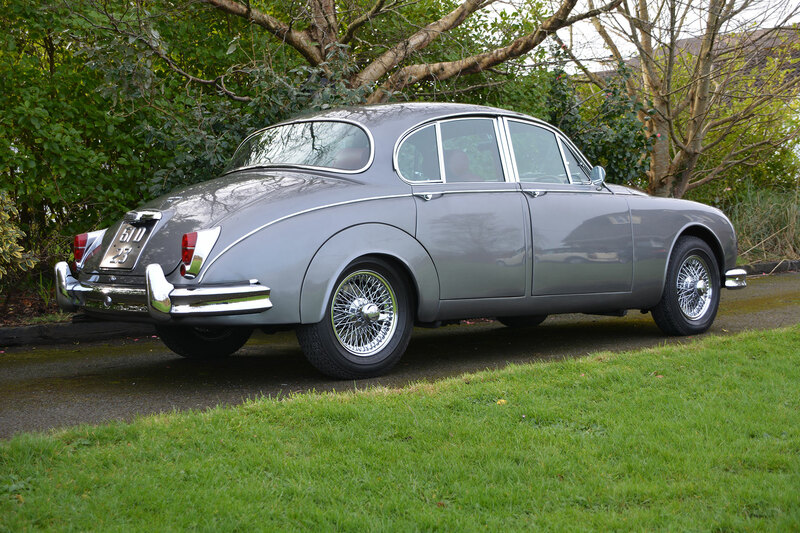 The Mark 2 was a fast and capable saloon in line with Sir William Lyons’ 1950s advertising slogan: Grace, Space, Pace. 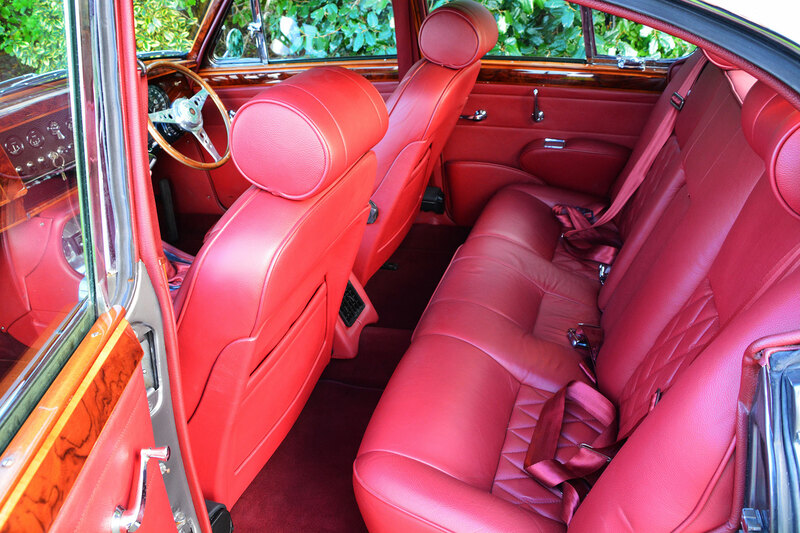 5 seats made it a popular choice as a getaway car. 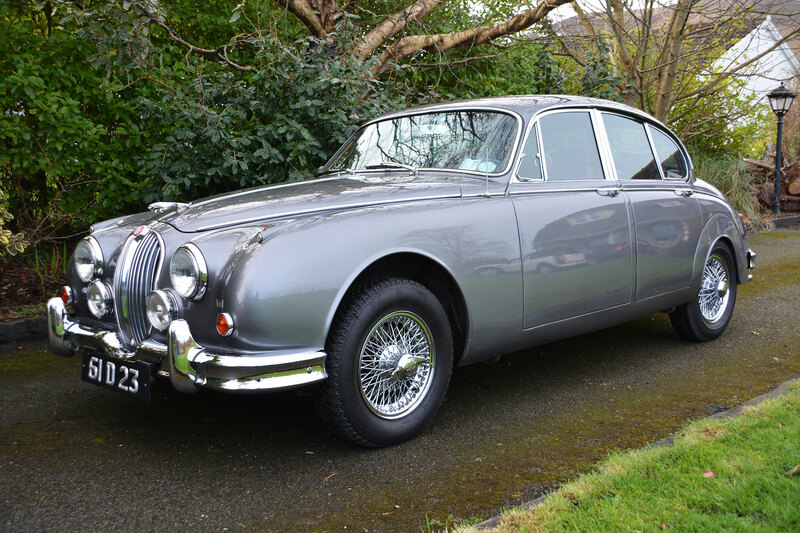 They were also driven by the police force when patrolling British motorways and appeared in many films and television series over the years. 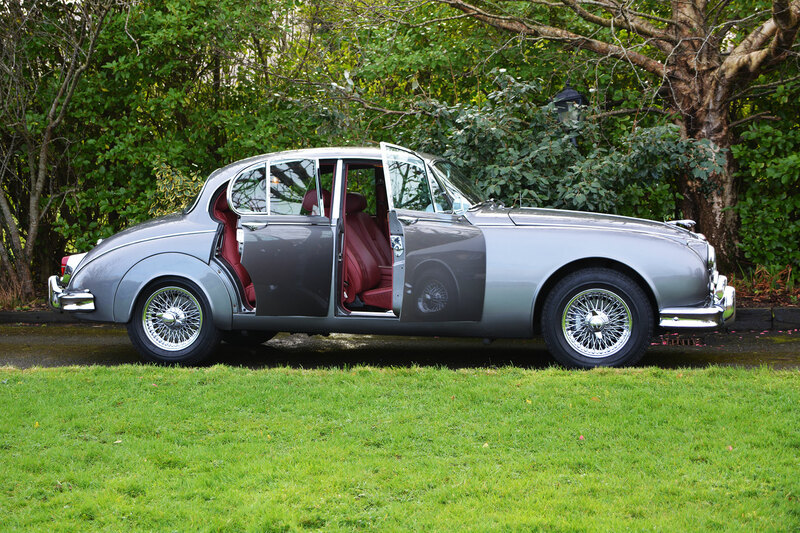 In the Rivers of London (novel) series (2011-present), Detective Chief Inspector Thomas Nightingale, the last officially sanctioned English wizard, drives a Mark 2 (3.8 litre engine). 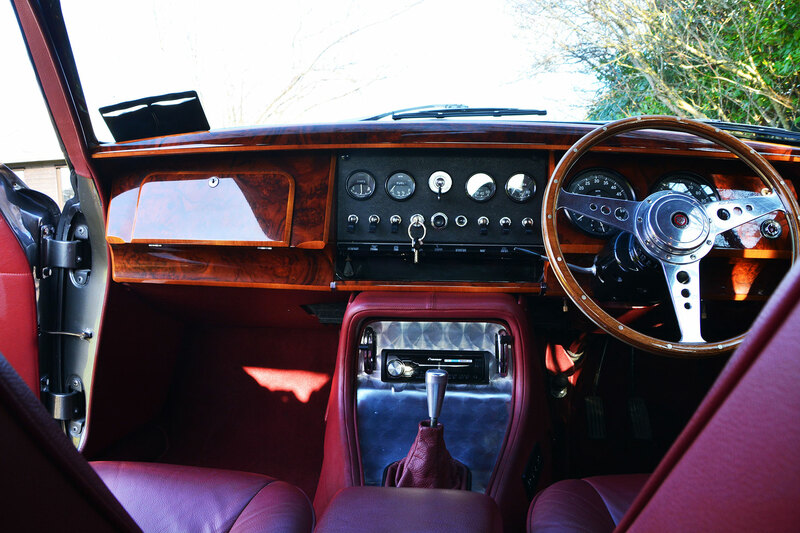 The main character, Police Constable Peter Grant, is forbidden from driving it after he deliberately drives an ambulance into the River Thames. 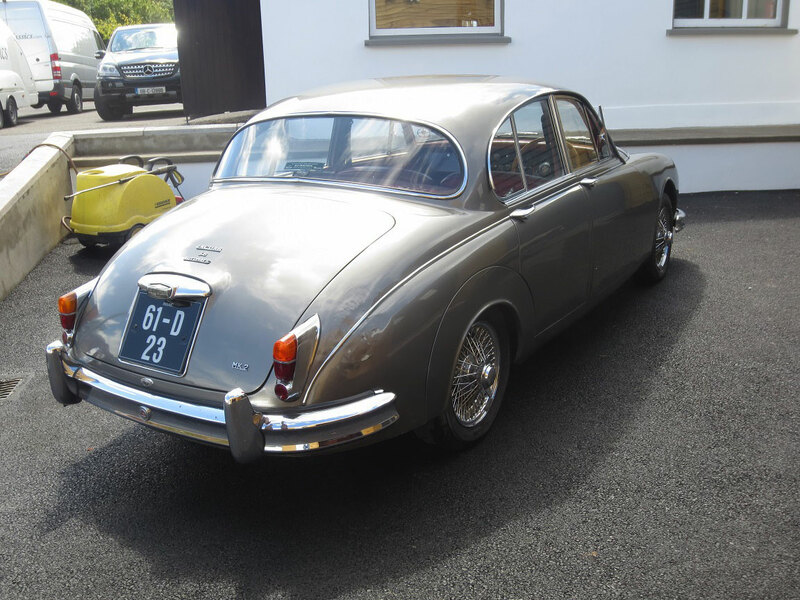 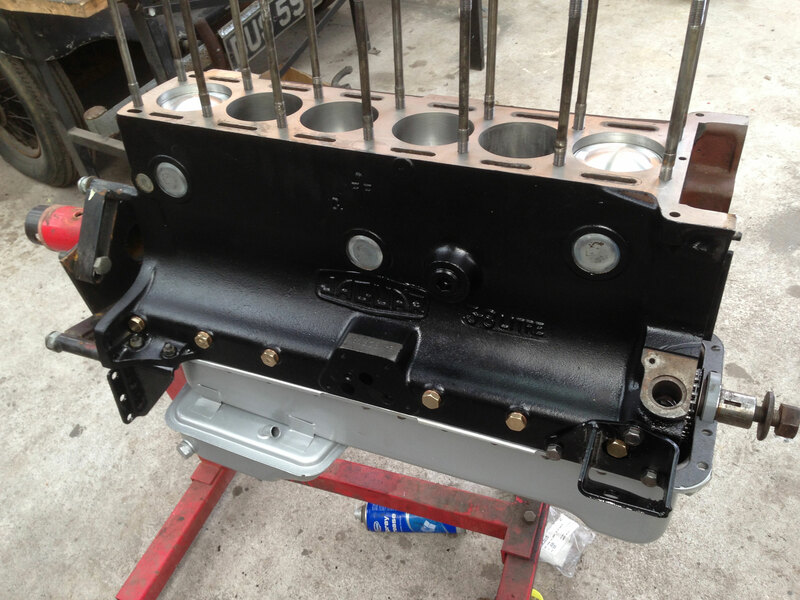 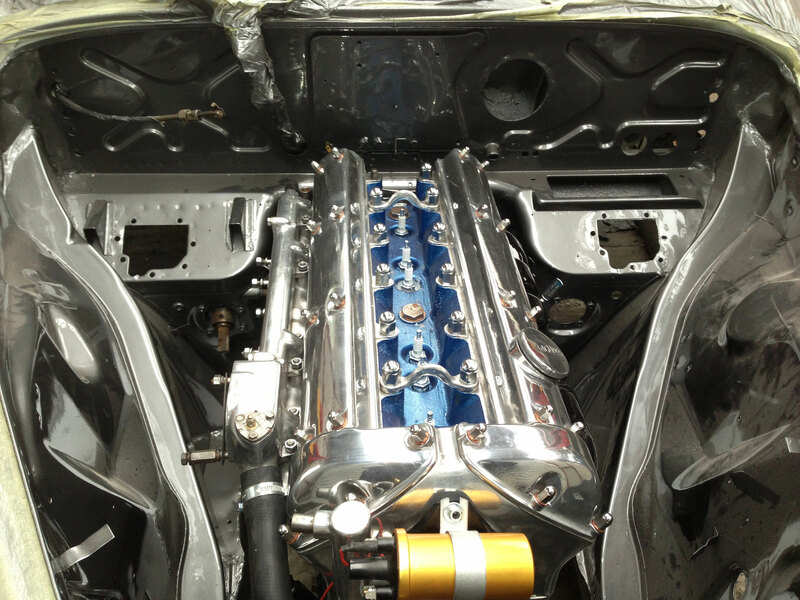 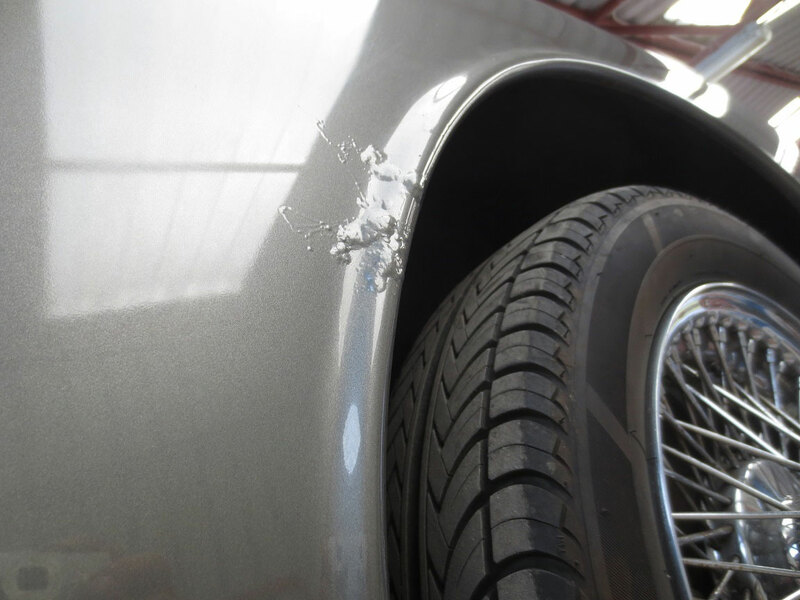 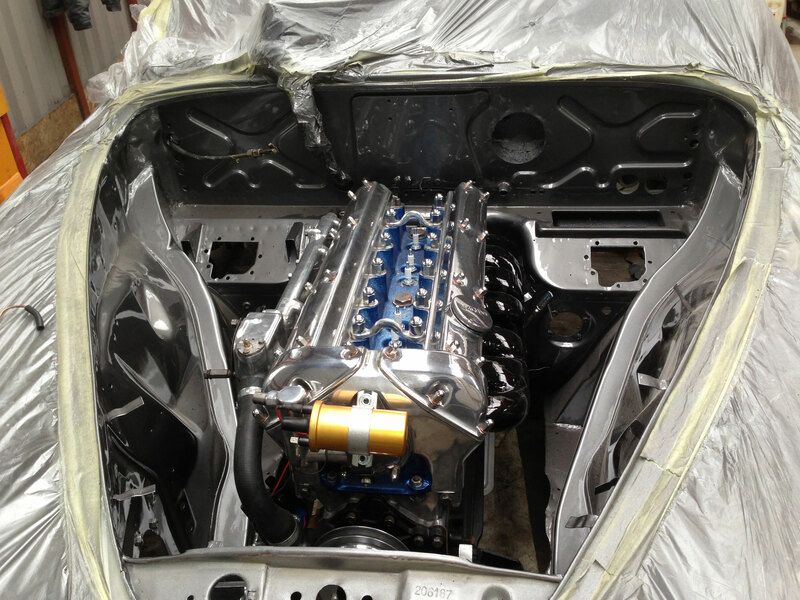 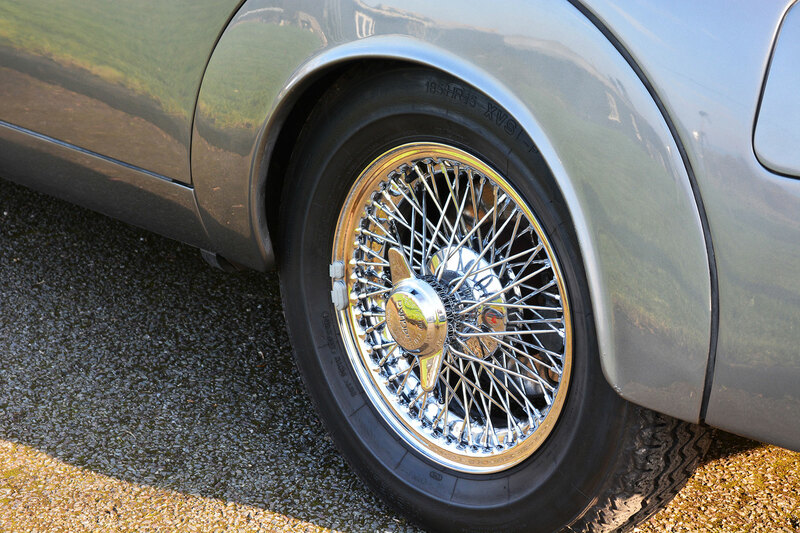 The car on offer here has been through a nut and bolt restoration by us and is in pristine condition. 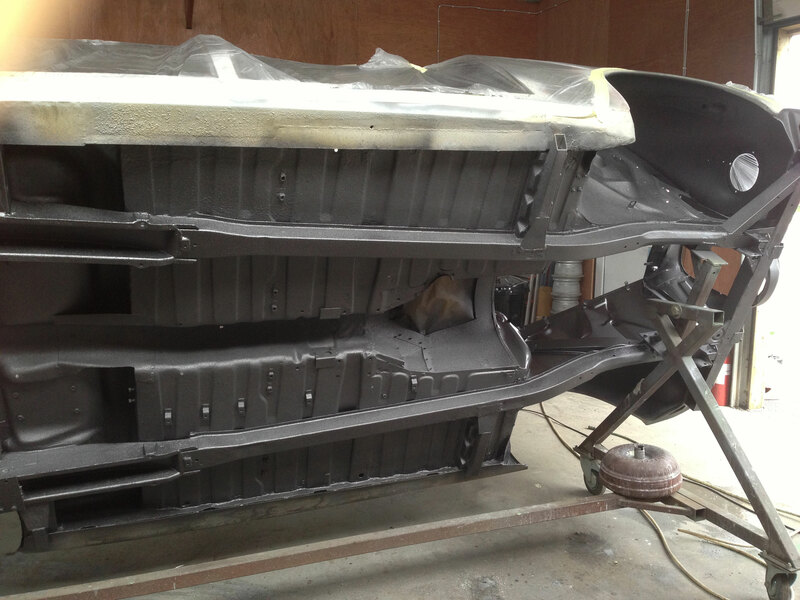 We have done extensive work to the chassis, removing all rusted sections and given the car a re-spray in its original gunmetal grey colour. 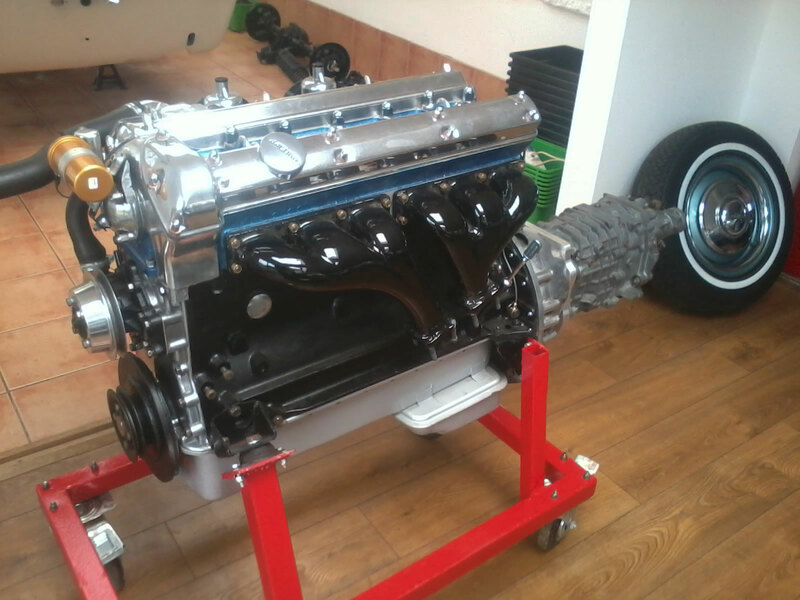 The engine also underwent a complete rebuild and runs very well. 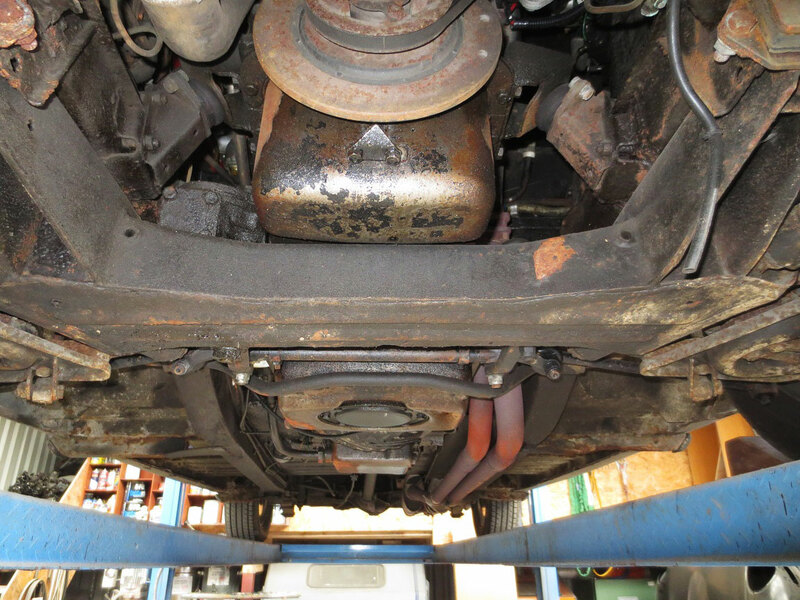 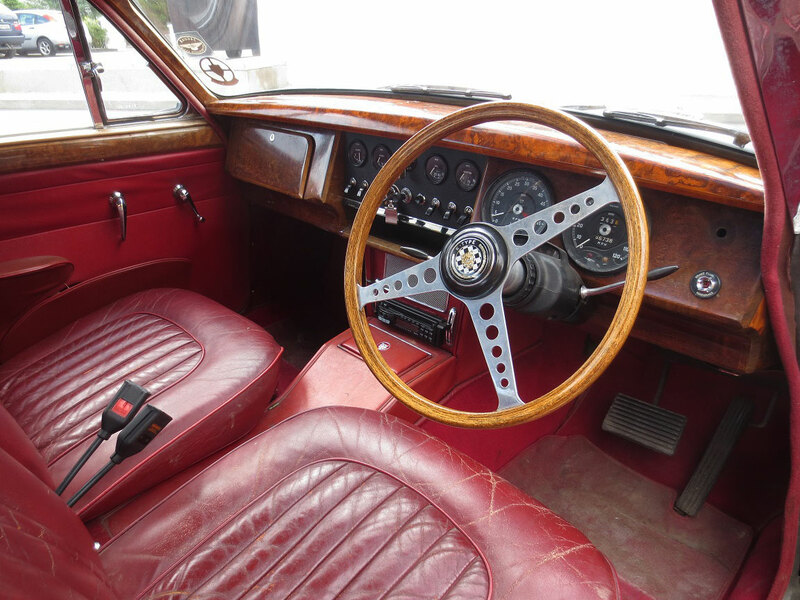 A 5-speed gearbox was fitted as well as upgraded Coopercraft brakes in front and electric power steering. 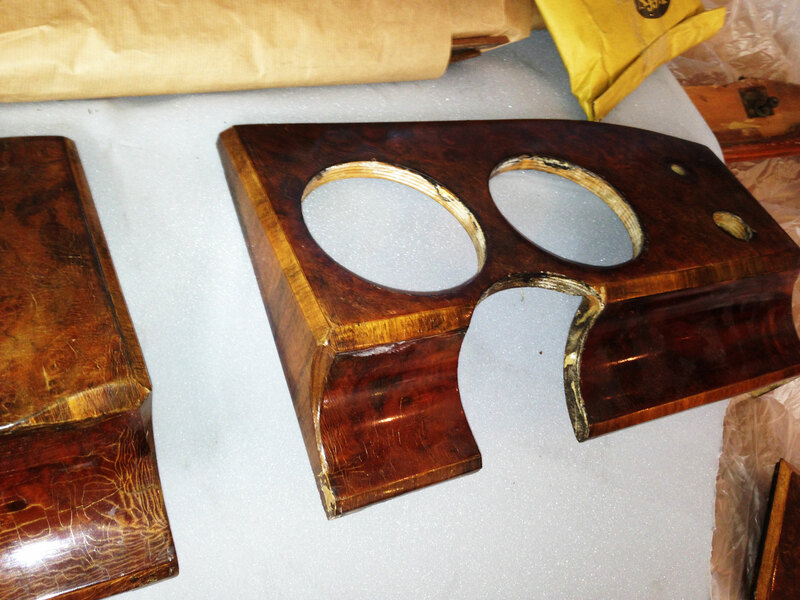 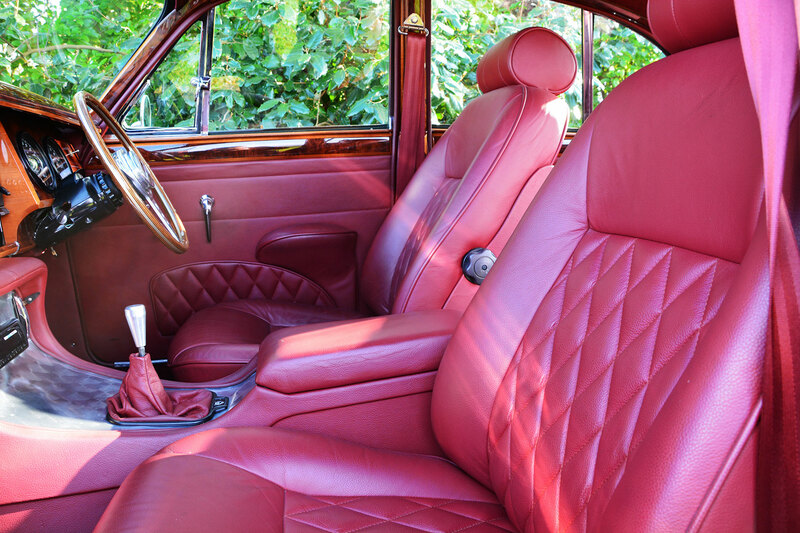 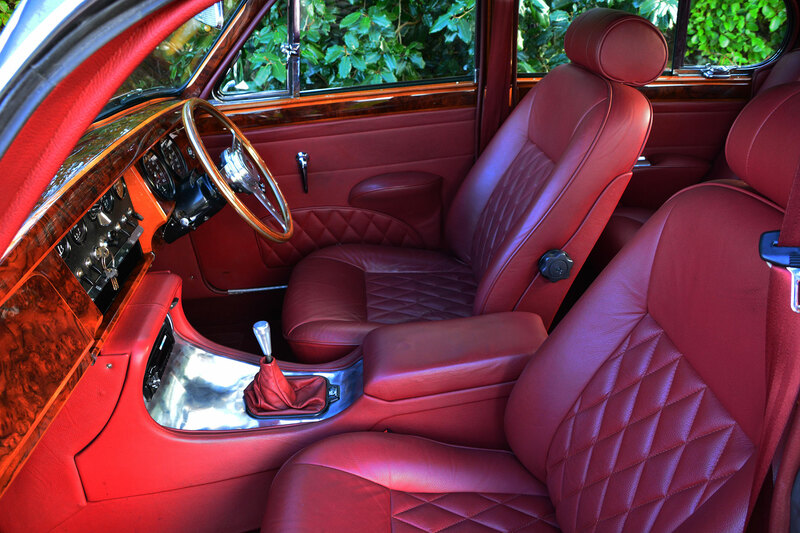 In the interior of the car, all woodwork has been re-veneered and re-lacquered. 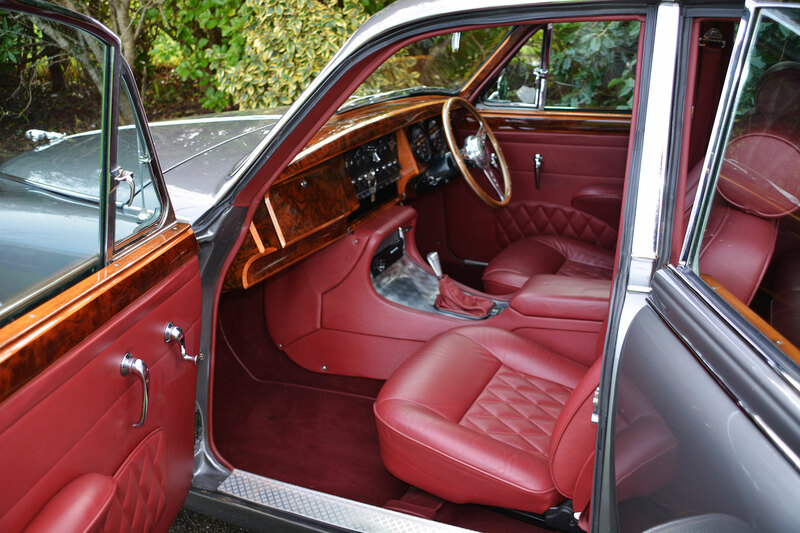 Newly upholstered XJ6 seat (driver seat electric) with headrest front and back and new carpets were fitted making this a very comfortable and elegant car. 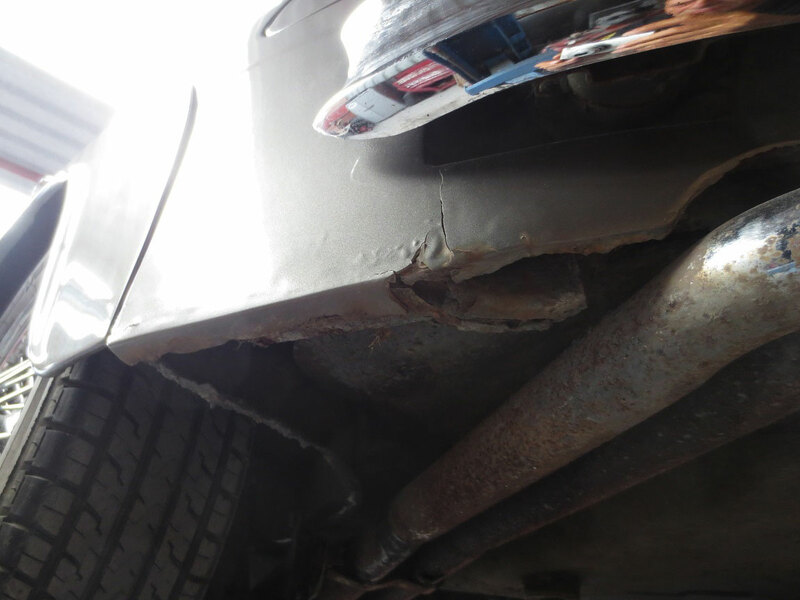 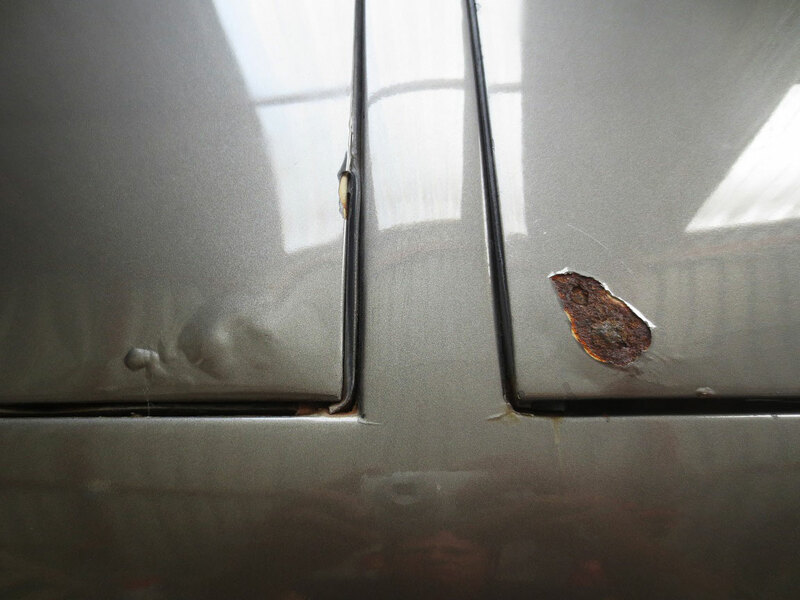 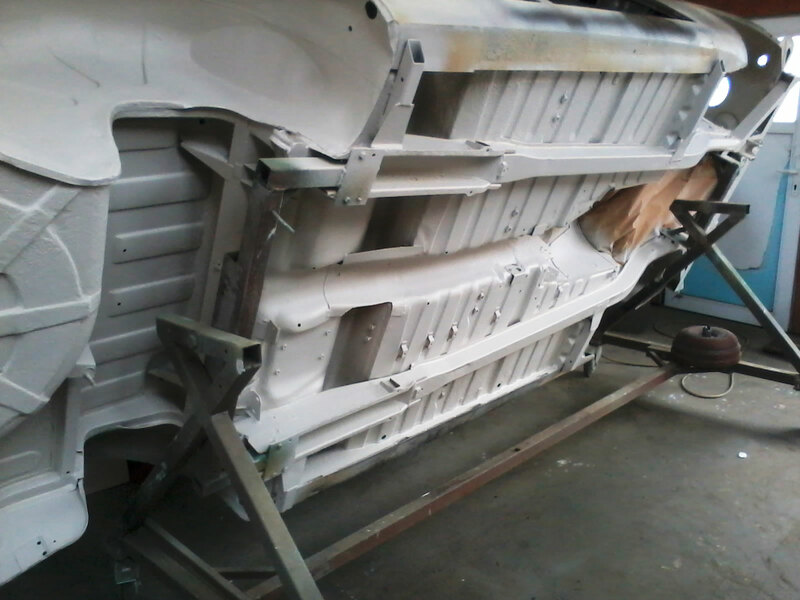 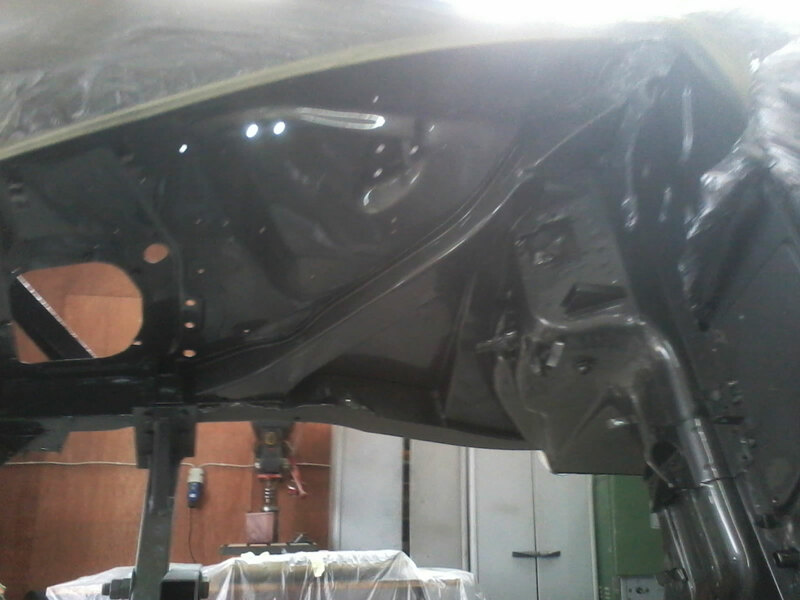 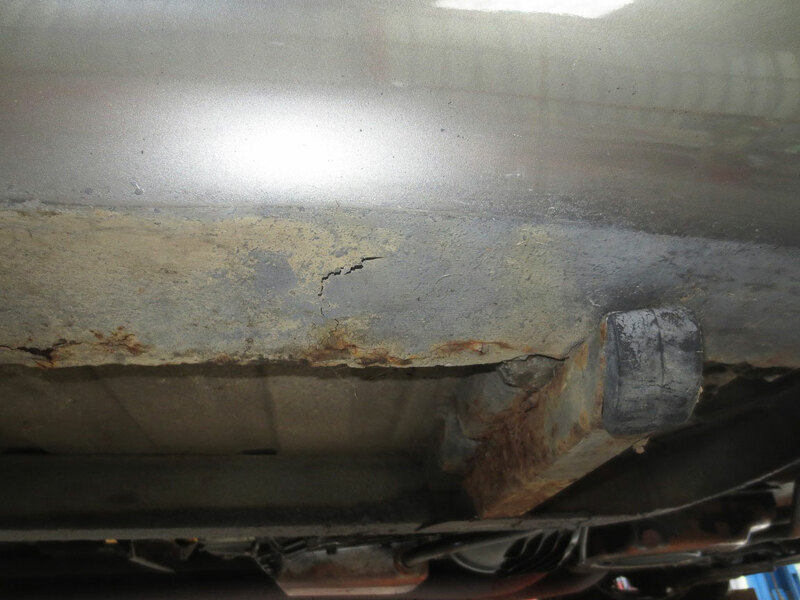 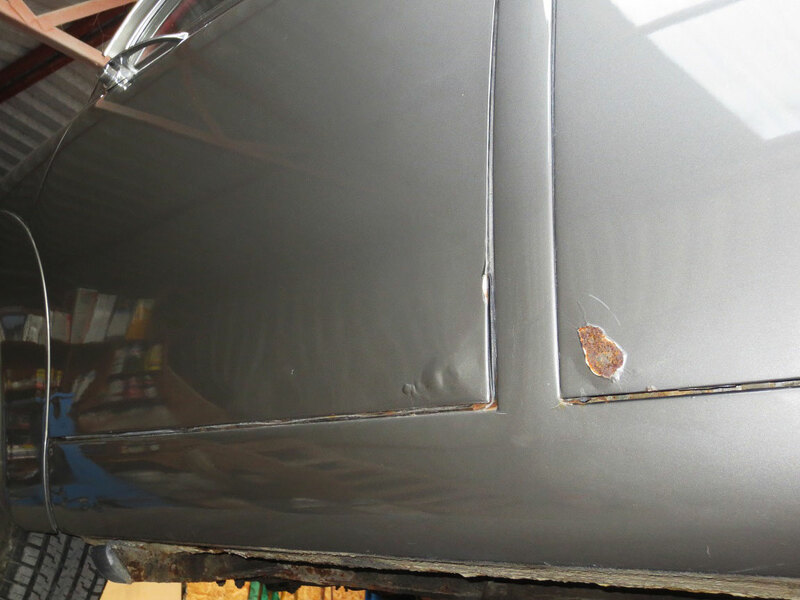 Rust affected areas of the vehicle body were cut out and replaced with new panels. 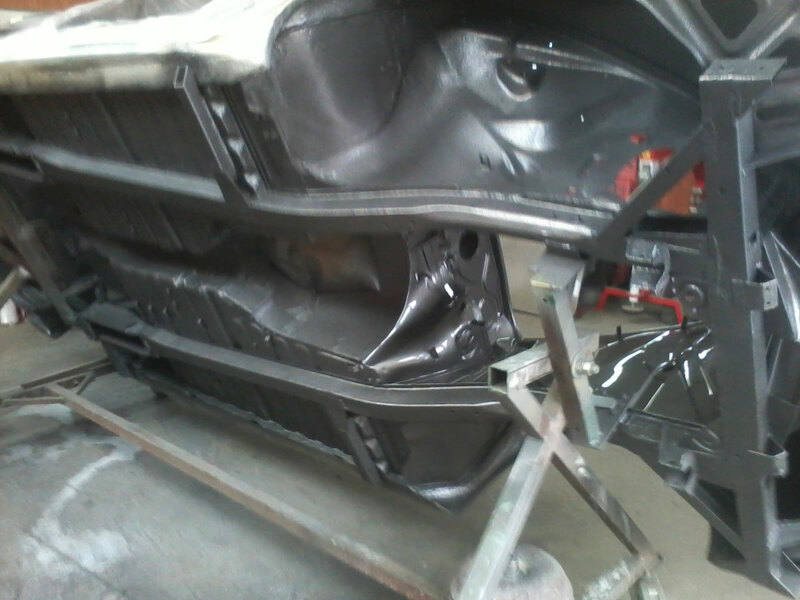 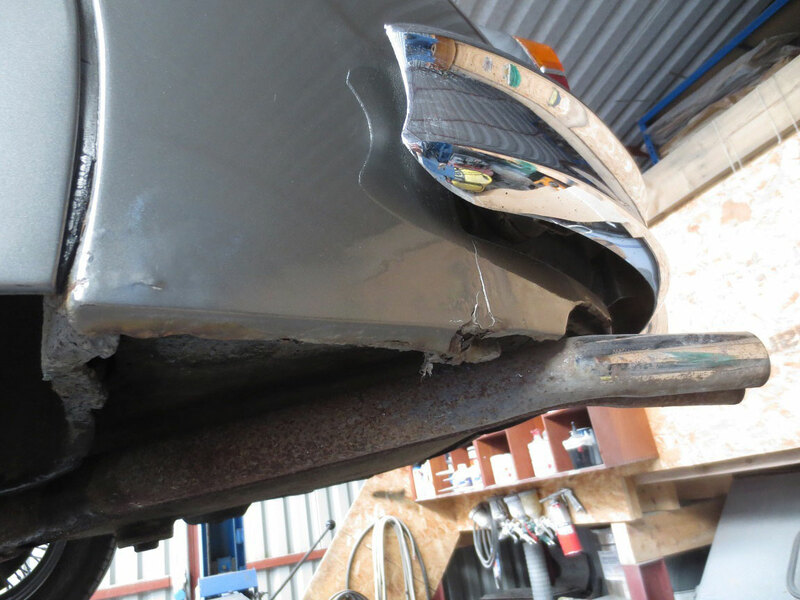 The bright work was very good and only the front and back bumpers needed to be re-chromed. 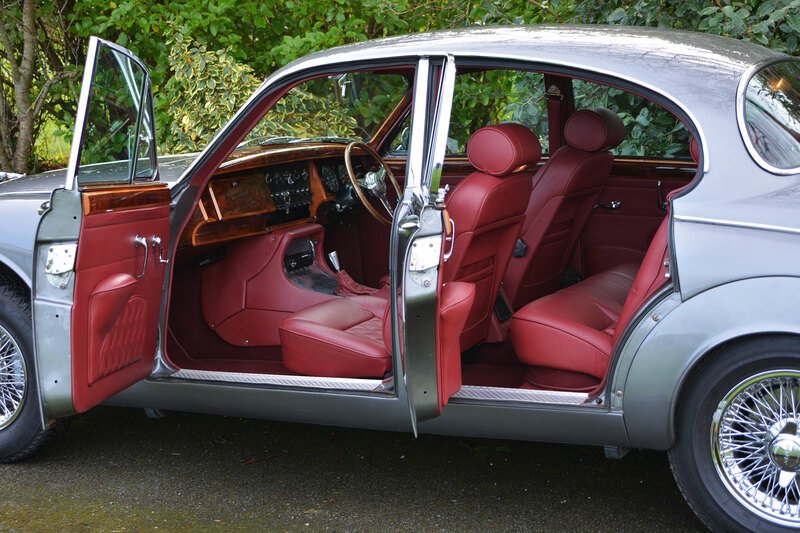 Lightly Green tinted glass was fitted to the car. 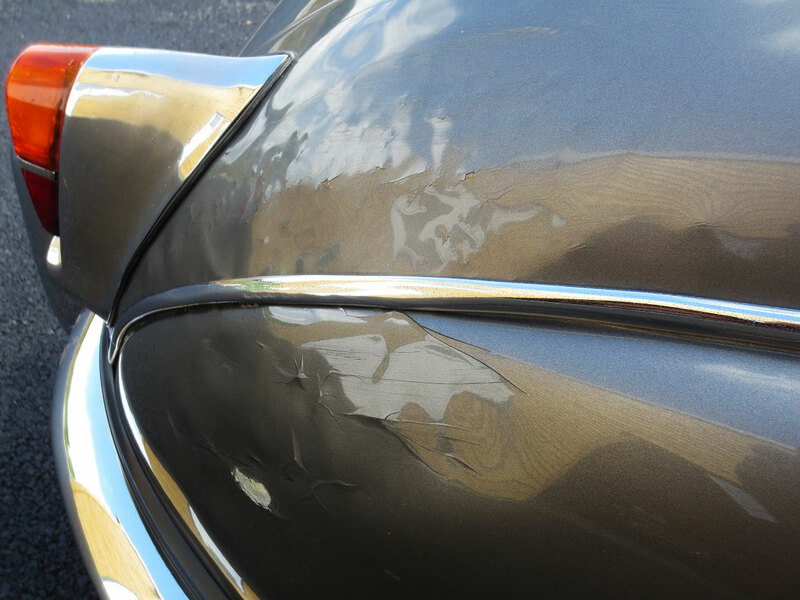 The vehicle was re-sprayed in its original colour Opalescent Gunmetal Grey. 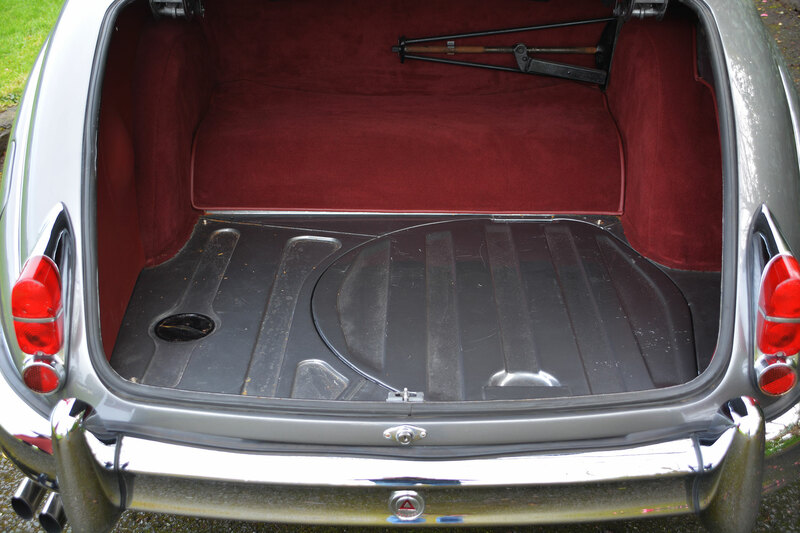 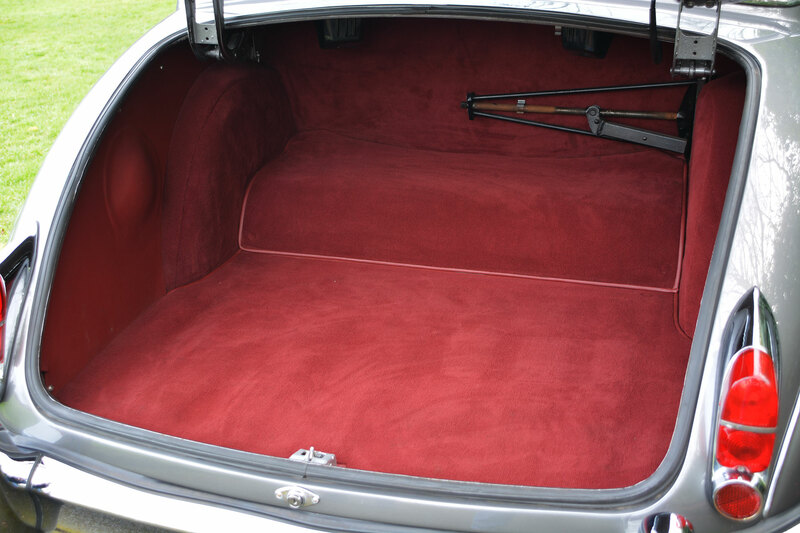 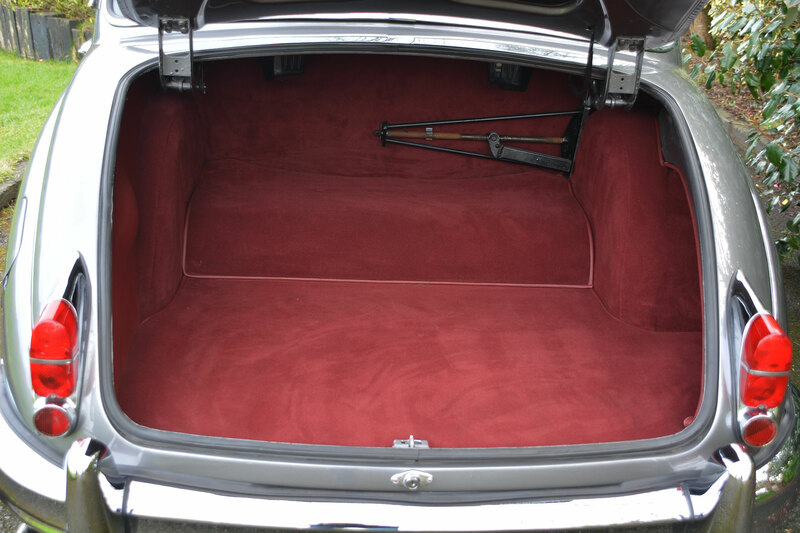 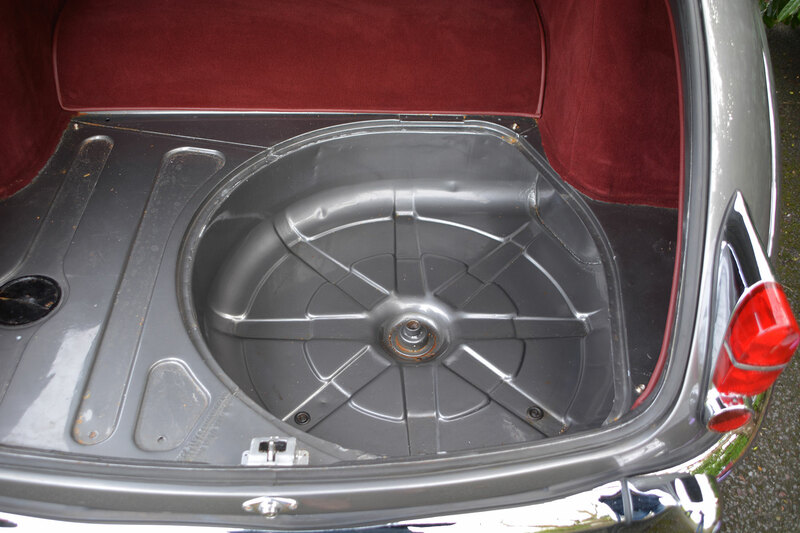 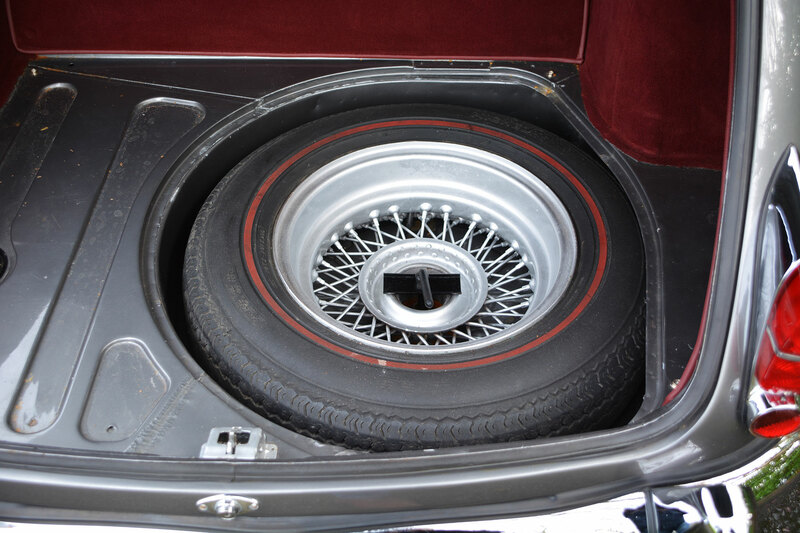 The vehicles’ interior, exterior as well as the underneath were fully re-sprayed. 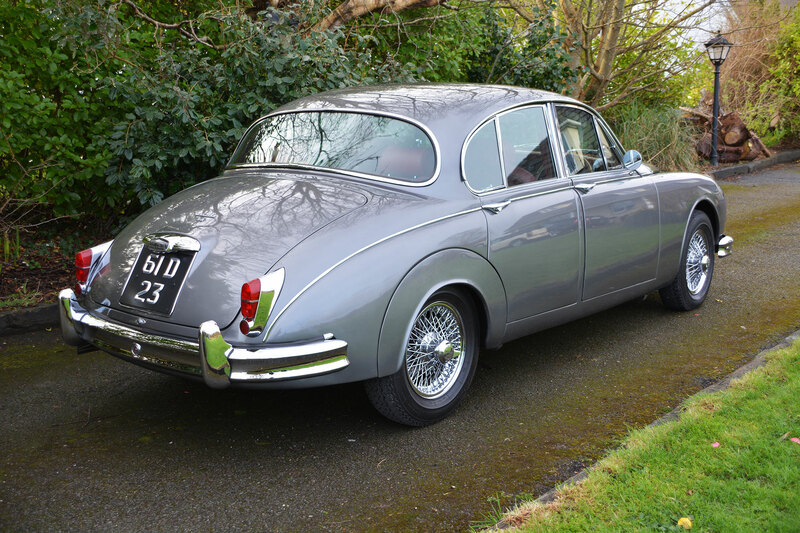 • New brake lines and stainless steel flexible hoses are fitted. 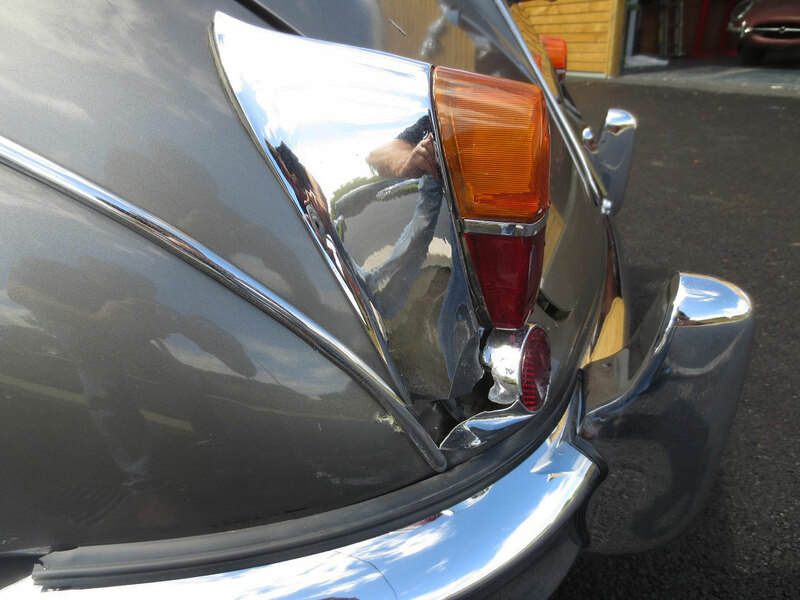 All electrical and instrumentation work was checked and where needed replaced or reconditioned and a new wiring harness with a separate hazard warning light system will be fitted throughout the vehicle. 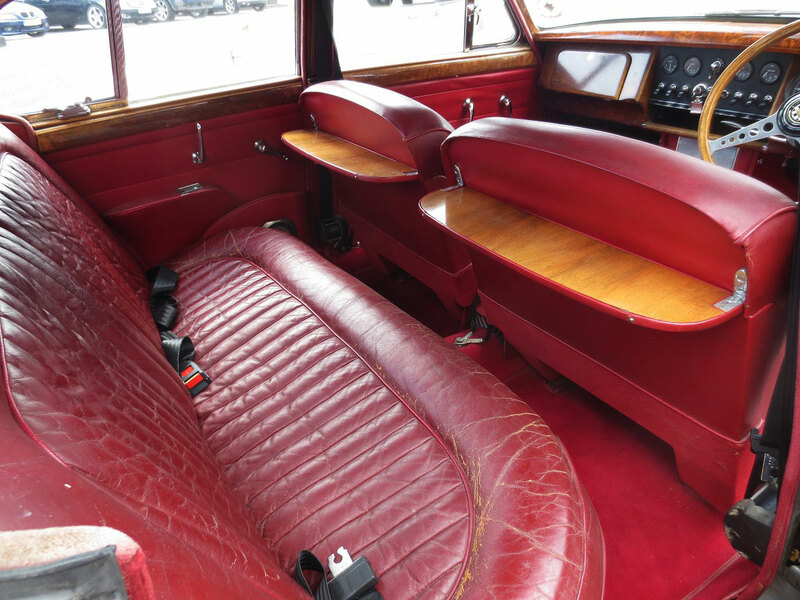 All woodwork has been re-veneered and re-lacquered using modern technologies New upholstery and carpeting were put in.